Twitter has announced the beta launch of promoted video for advertisers – another extension of the Twitter Amplify program only this time advertisers also have the option of using promoted accounts and promoted tweets. Video has seen real growth as a storytelling medium with marketers more willing than ever to invest and these new promoted units come off the back of recent upgrades to Twitters latest video playback ability. 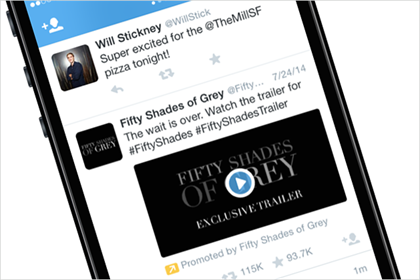 So far we’ve spotted KFC and 50 Shades of Grey using this new feature. 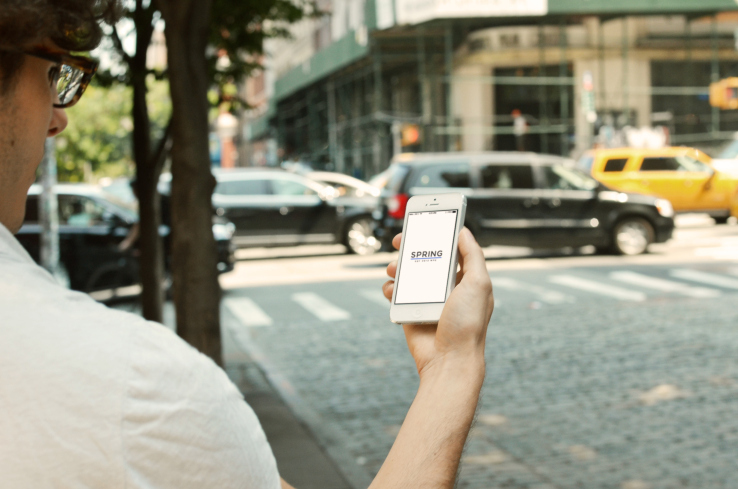 Serial entrepreneur David Tisch has launched Spring, dubbed the “most advanced effort at fashion-focused mobile shopping yet”. 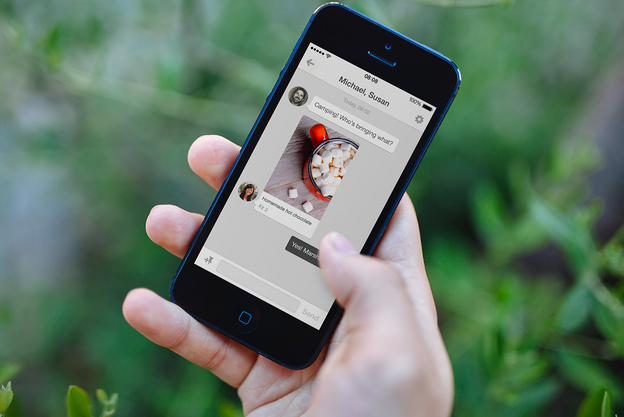 Users are given the ability to shop with just one simple swipe of the screen. Pulling in a feed of items from a number of stores, Spring is potentially the first universal shopping cart that still gives brands the ability to own and merchandise their presence. More than 50 brands are set to join so far and we’re looking forward to testing it properly for ourselves! 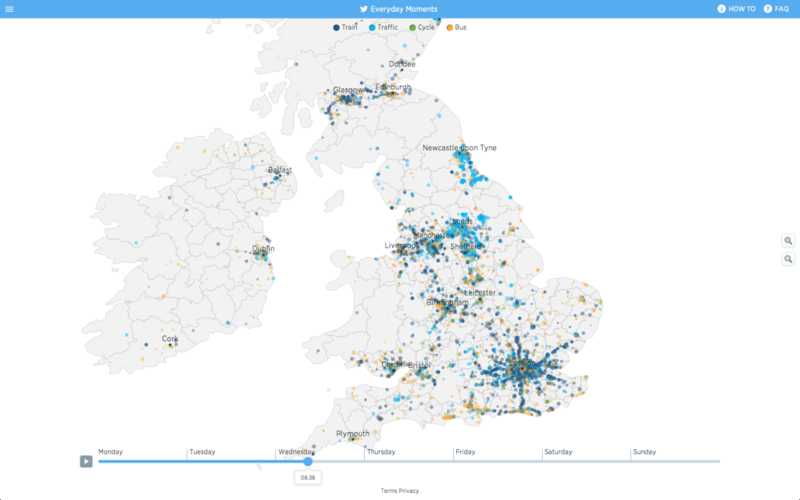 Twitter have created a real time visualisation of tweets in the UK over a week period – search for keywords and see just what the nation is talking about on a week by week basis. A really nice bit of data visualisation that’s already been use to analyse TV tweets and could provide marketers with a truly insightful tool to craft reactive content. Facebook founder Zuckerberg is the latest to take part in the ALS Ice challenge passing the baton onto Bill Gates and Sheryl Hastings to do it next. There has been a lot of mixed feelings about this latest charity stunt (how much good can one bucket of ice really do?) but it does appear to be working. Donations to the ALS Association are up by 1000%. When news broke that Hollywood her Robin Williams had passed away fans took to social media to share their grief from classic quotes to fan tributes there was a steady stream of content. 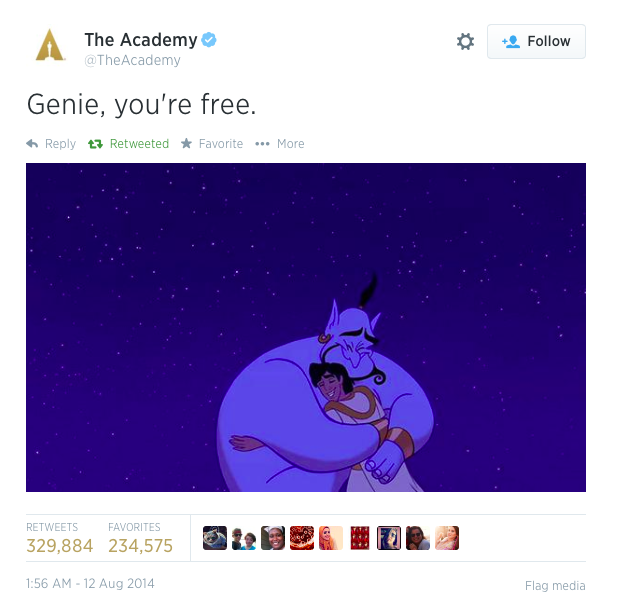 When The Academy tweeted a picture of Wiliam’s Genie with the words “Genie you’re free” there was mild controversy amid reports of it glorifying suicide. Either way the post has been retweeted nearly 330,000 times and has been one of the most iconic posts.